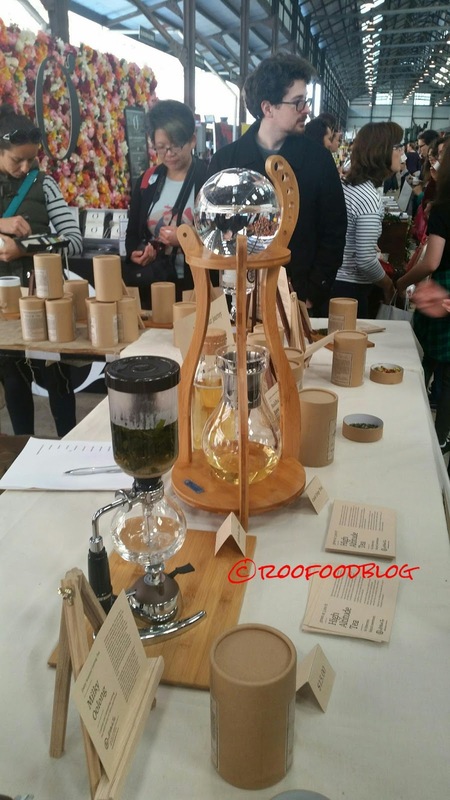 The Sydney Tea Festival was so hugely popular last year that this year was bigger and better (so they say). I missed out on last year so I was super excited to be going this year. I arrived early and after purchasing a tea cup. I decided that my plan of attack would be start at the beginning and work my way down one side and up the other. Introducing a tea tasting cup. 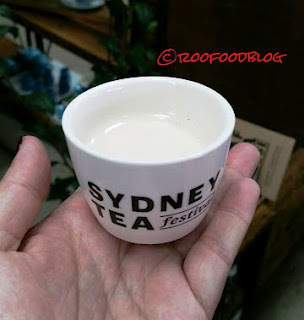 Yes this is the cup that the thousands of visitors to this years Sydney Tea Festival sipped from throughout the day. 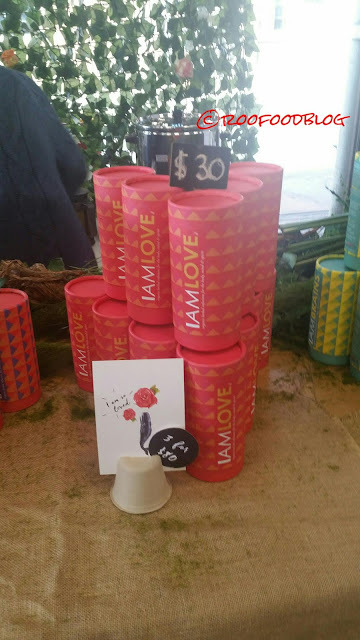 A wonderful little keepsake from the day and an absolutely fabulous way of decreasing paper waste (imagine how many paper cups would have been used throughout the event!) and a great way to raise some funds for this free event. 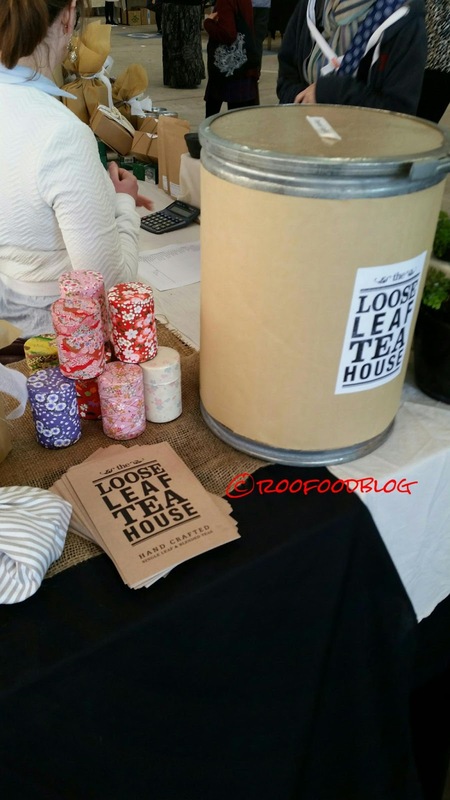 First stall was The Loose Leaf Tea House. 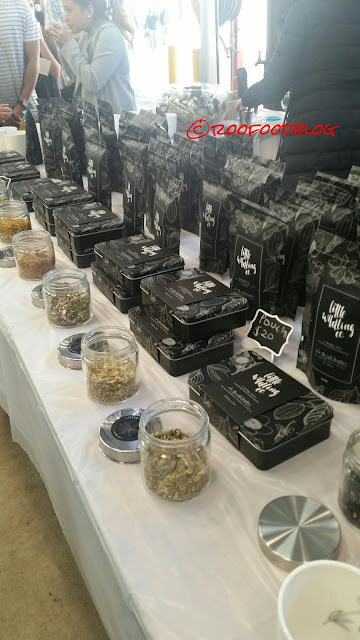 High quality products from around the globe, hand picked, hand packaged, these teas are a winner (and it's my first stop of the day!). 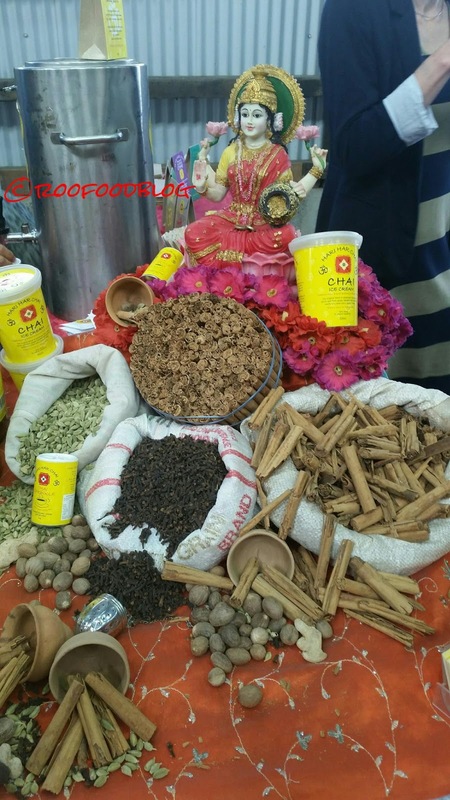 There is wide variety of black, green, red and white teas along with herbal teas. I am a bit of a fan of ginger tea. It's soothing on the tummy and refreshing with a quick of heat. I Am Infusion, are organic herbal infusions for the body, mind and spirit. Beauty, Brains, Love, Dreams - there is something for everyone. So here I start to question what is the difference between tea and a tisane? So many are advertising 'tea' yet they speak of 'tisane', so a quick explanation reveals that real tea is the infusion of tea leaves, whether they be black, green, white, oolong tea leaves. 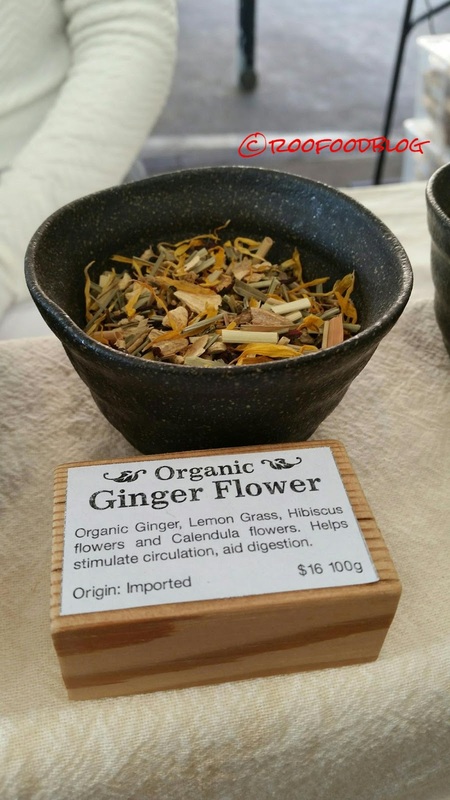 A tisane is an infusion of herbs and spices and has no tea leaves used in it nor does the infusion have caffeine. I feel like I'm becoming a tea expert! (haha not really). FYI - I have loosely used the term tea throughout this post whether or not it is herbal or real tea. 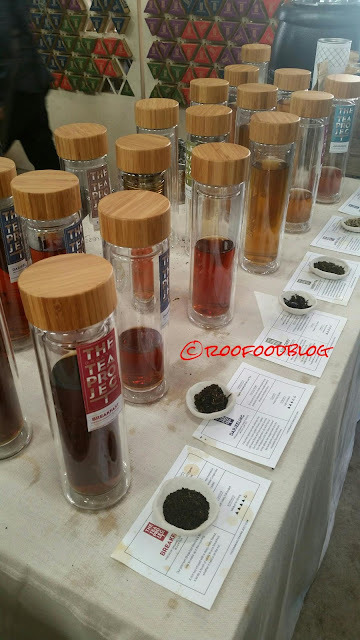 Over at Bees Knees Teas I was intrigued by not only their tisanes but the ethics behind the name. 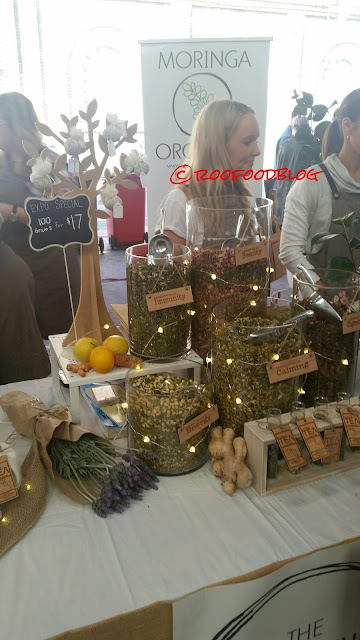 Organic herbals which are caffeine free too and with 10% of profits going towards sustainable bee projects. I really liked the Bee Playful blend with hints of pineapple and it's kid friendly too. 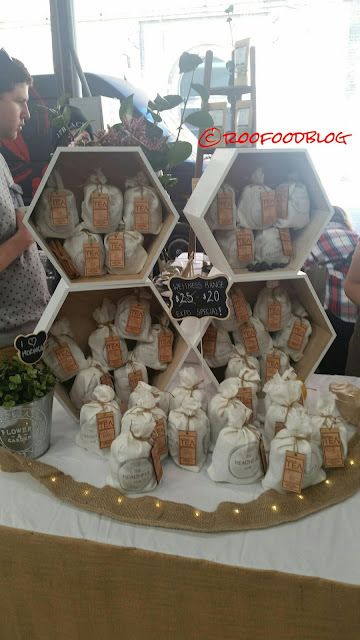 Head over to their website for more information on the sustainability of bees and how our environment and food consumption is effecting the bees. 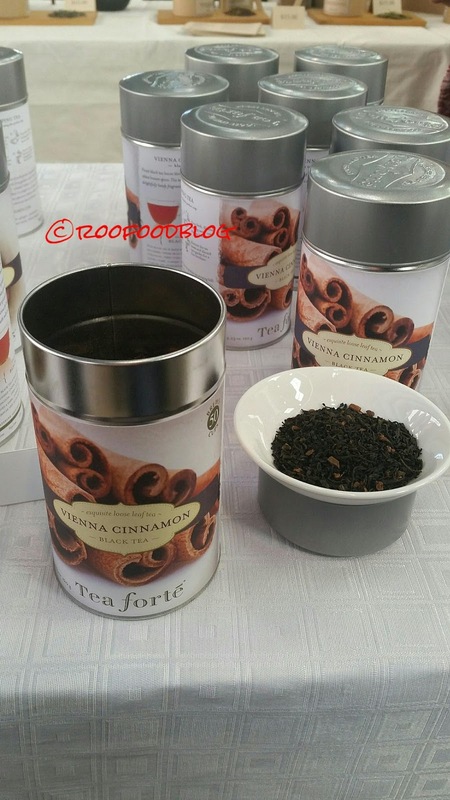 Next up is Tea Forte - I as taken with the Vienna Cinnamon and it smelt heavenly. They didn't seem to be tasting teas and it was a little too crowded. You can't have tea without tea treats (well any type of sweet treats)..no? 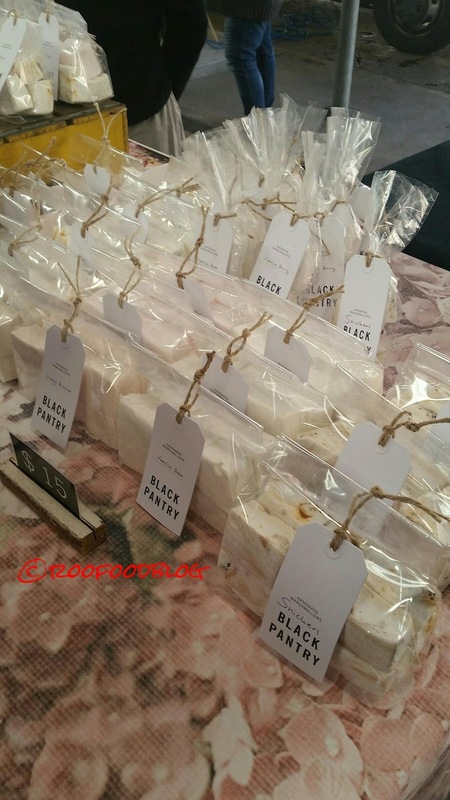 First foodie stop is at Black Pantry, where there is a spread of delectable hand cut marshmallows that are soft as clouds. Picking just one is hard, so I tasted them all! Salted caramel, snickers, rosewater, vanilla and vanilla berry. I would say the vanilla berry and the rosewater one was the best. Not only did the tea infuser win me over, but the teas on offer at Altitude Tea was a highlight. The tea is grown at a high altitude (over 3,000 feet) in Southern China. The leaf maintains a sweetness and less bitterness and astringency than other teas may have at lower climates. 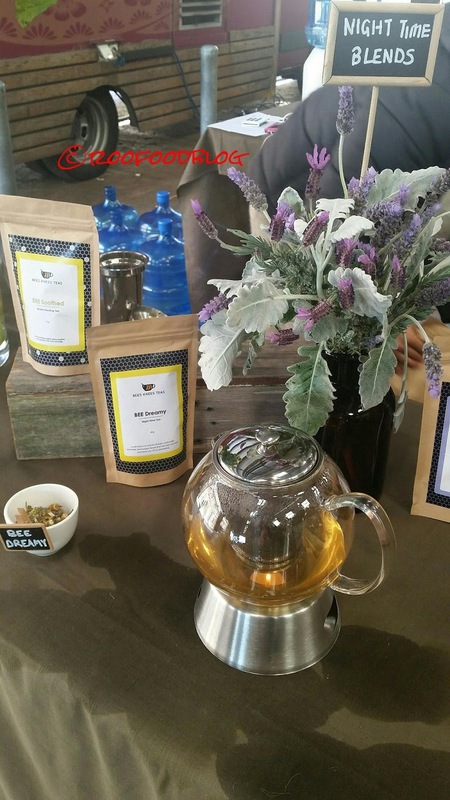 Pesticide free and handpicked these teas are very refreshing on the palate. The intensity really shines through with the Buddha's Brew which is a green tea with floral notes coming from Jasmine flowers, the flavour is intensified due to higher concentrate of oils from high altitude growth. Ovvio Organic tea is created based on traditional herbal medicine principles and using only high quality ingredients (which is something of note here at the festival today, so many organic/herbal teas on offer). 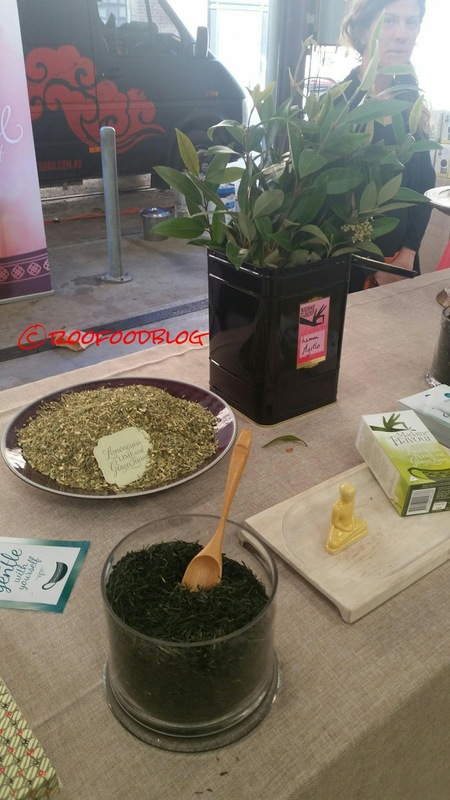 I sampled the chocolate mint organic tea and it was really good (like a warm after dinner mint)! Fruity teas and tisanes here at Blossom Blends, the colourful canisters are fun and fresh. 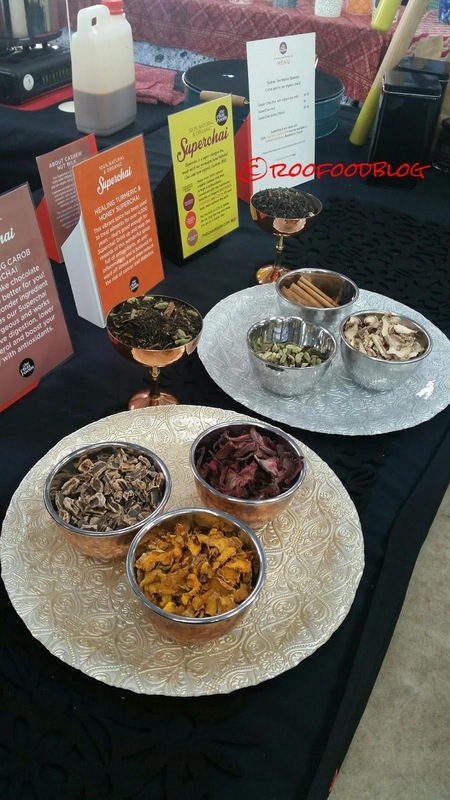 They work with naturopaths and tea masters to ensure wellbing as well as therapeutic benefits. Generally speaking, I don't really like fruity blend teas, but today I have tasted a few surprises, like the Complexion Perfections tea, which is a blend of rose and hibiscus and lavender. The Passionfruit Perfection is too fruity for me though, although it has a wonderful passionfruit smell. 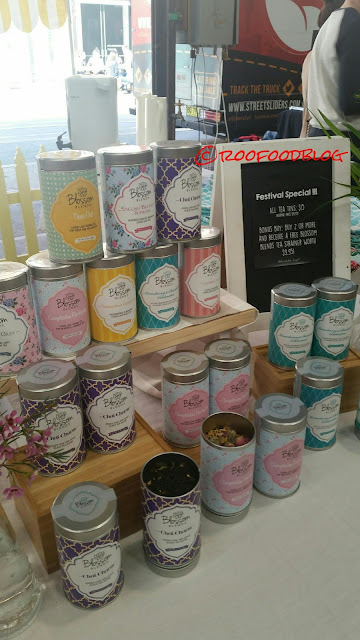 Coming in a firm favourite of the festival, The Chai Room is offering a super chai range of chai made with fresh cashew milk. Making it dairy free and gluten free, it's a great choice for vegan and those with lactose intolerance. Today's offerings include the cacao chai, turmeric and a intriguing beetroot chai. 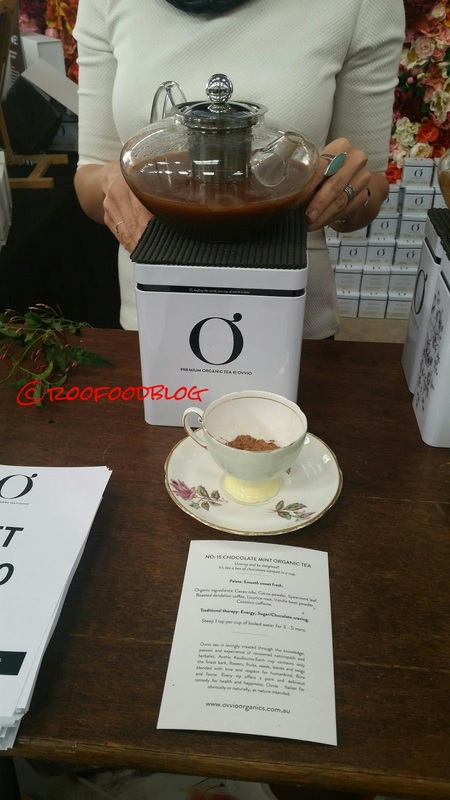 The cacao is chocolately and comforting and spicy (but not heat wise). The turmeric is earthy and herbal, but it's the beetroot chai that wins! It' is creamy and nutty and has savoury elements reminiscence of a good soup rather than a chai! The beauty of this chai is that it comes in a glass bottle and can be heated up or it can be drunk cold. Chai smoothie anyone? 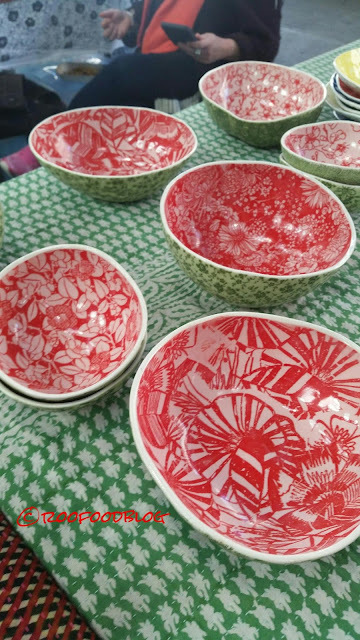 Samantha Robinson is a local designer showing her handmade porcelain bowls and I fall in love with her watermelon bowls. You can read all about how The Tea Project got started here. 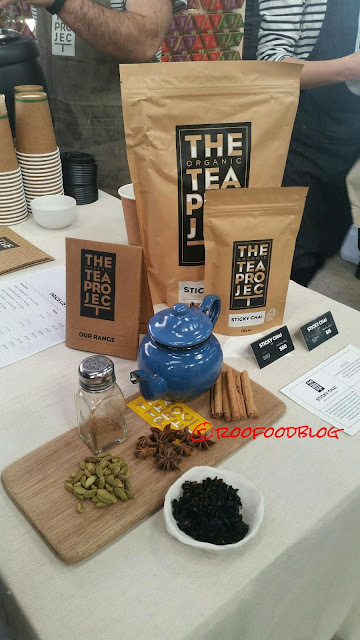 I am being drawn to the lemongrass and liquorice teas today and the Apres Meal at The Tea Project is refreshingly great! Blended with lemongrass, lemon verbena and peppermint, liquorice and rosehip it's perfect for digestion or when you have a tummy ache. I take a bag home with me. Madame Flavour is fast becoming a tea brand that many know. I remember receiving samples earlier in the year (from the Royal Easter Show) and really like the blends. Moringa Organics is next up. I sampled the Energiser tea expecting a really big hit of ginger but was left disappointed. 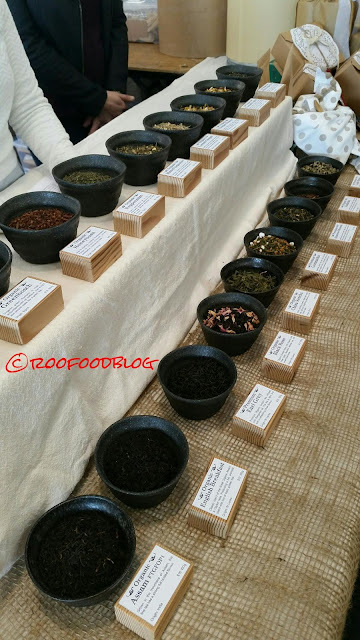 I didn't really get to know more about these teas, until I started reading their website after the event. So what is Moringa? It's apparently a super nutritious treee (and leaves) and is very vitamin and mineral dense. 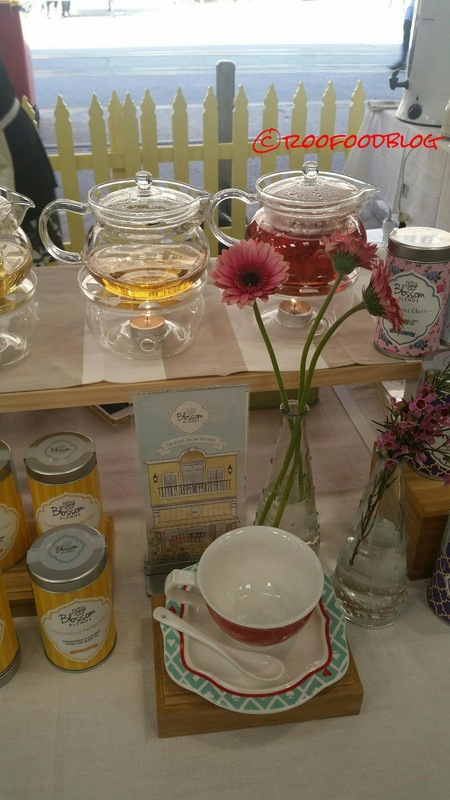 It appears that I had sampled a 'tea' from the Wellness Range, a moringa based range of tea. Are you still with me? We are a quarter way through! It's not all about tea tasting. 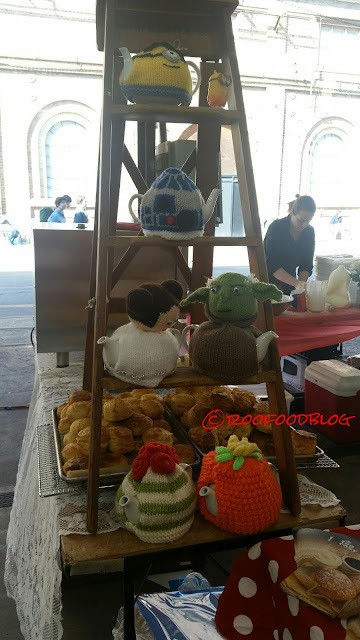 There are a few stalls selling kitchen/tea related products and at The Tea Cosy (who are located in The Rocks) you could grab a freshly backed scone with jam and cream or pick up an awesome knitted tea cosy. 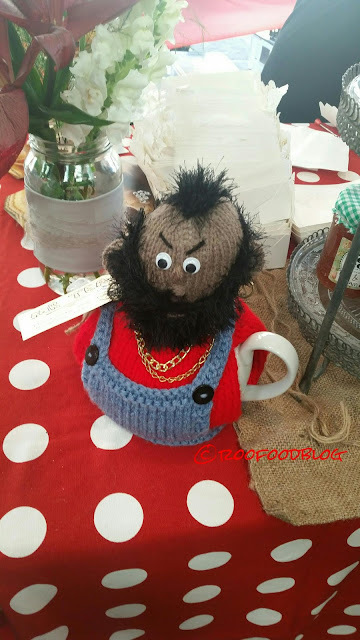 I feel in love with Mr Tea - and is probably my one biggest regret of the day! Here are a few more - a minion and the Star Wars collection. 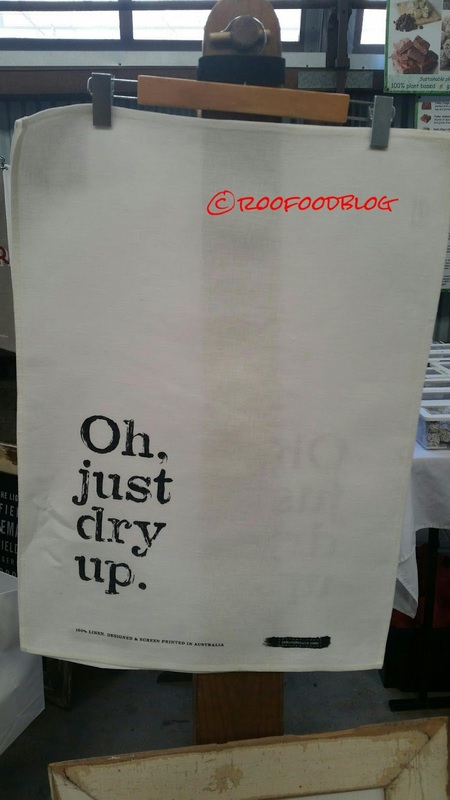 100% Linen tea towels with witty quotes and sayings are on sale at Ink & Weave. They are so pretty I don't think I could use them as a teatowel and rather like the idea of hanging them on the wall. The Little Wilding Co is quiet unique as not only the herbs organically grown but also wildly grown and mostly local ingredients. With tea names such as I am a Goddess, Dirty Dandy Chai or Hibernate and Chill, these teas are a tease on the taste buds. 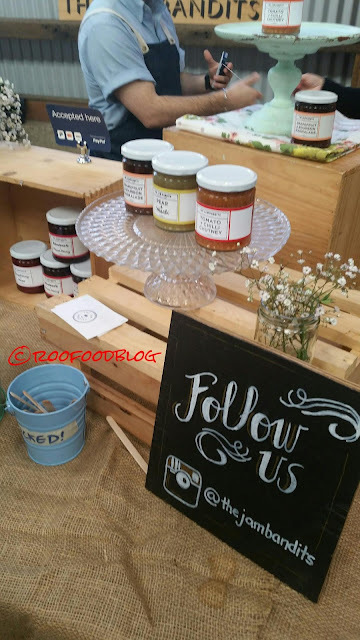 I have been a longtime follower of The Jam Bandits and their Pear and Wasabi jam is awesome. A jar is in my bag and headed home to be served with a good vintage cheddar! We are nearly there! 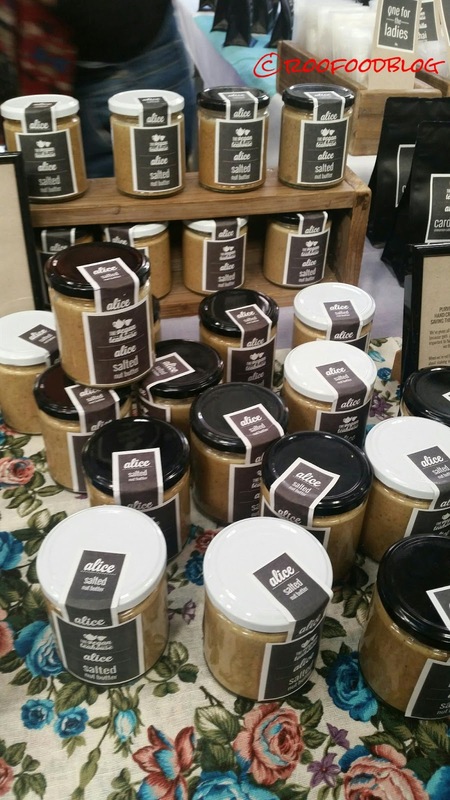 Addiction Food has a selection of vegan friendly goodies at great prices. 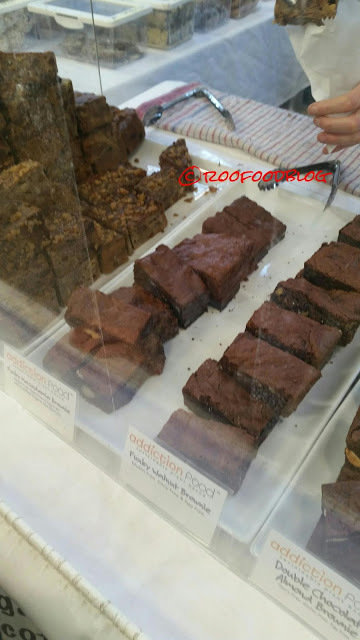 I decide on a square of the chocolate macadamia brownie, which is made with olive oil diary free chocolate and organic nuts. The Vegan Teahouse is a nice little surprise, not only teas but a great range of nut buttes and slices. The salted nut butter is delicious. Last but not least (for this side of the shed) is Hari Har Chai. Okay, I'll admit, although this was packed and many people purchasing and sampling and enjoying it, I didn't enjoy it as much as other stalls today. I don't know what it was perhaps it was a little to watery for my liking. But that's okay....it's not everyones cuppa (no pun intended). I did notice that they have several chai products including a chai concentrate and also an icecream. So that's half my review. By now the shed is starting to get packed out and I'm half way there. I need to take a little break and breather before plunging in for more.....stay tuned for Part 2. Plunging in for more... lol... i see what you did there!